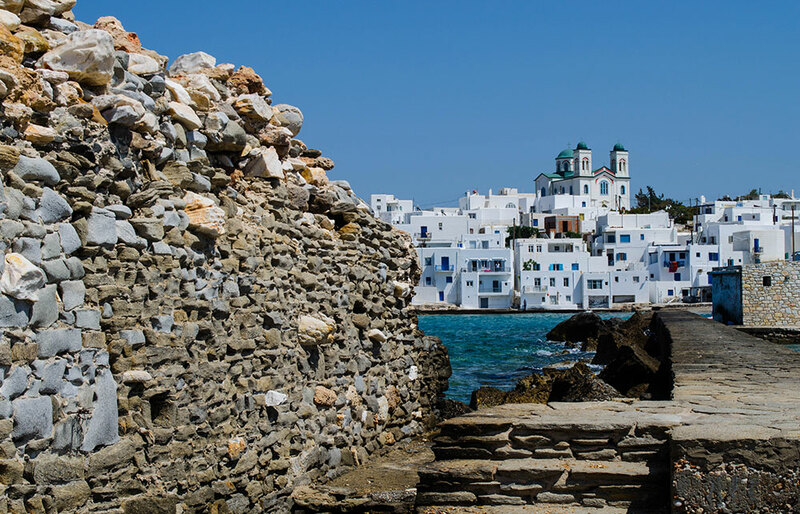 Paros is a popular summer destination in Greece that figures among the best in the Cycladic islands. This cosmopolitan island is a timeless escape, as it appeals to every taste. Whether you are looking to walk around picturesque neighborhoods, admire traditional Cycladic architecture, dine in atmospheric restaurants and wineries, drink a cocktail in busy nightlife alleys, taste traditional “meze” dishes in seaside villages, enjoy almost any water activity, party in vibrant beach bars, relax in serene beaches, visit a butterfly biotope, ride a horse or visit historical sites, Paros has a bit of everything. 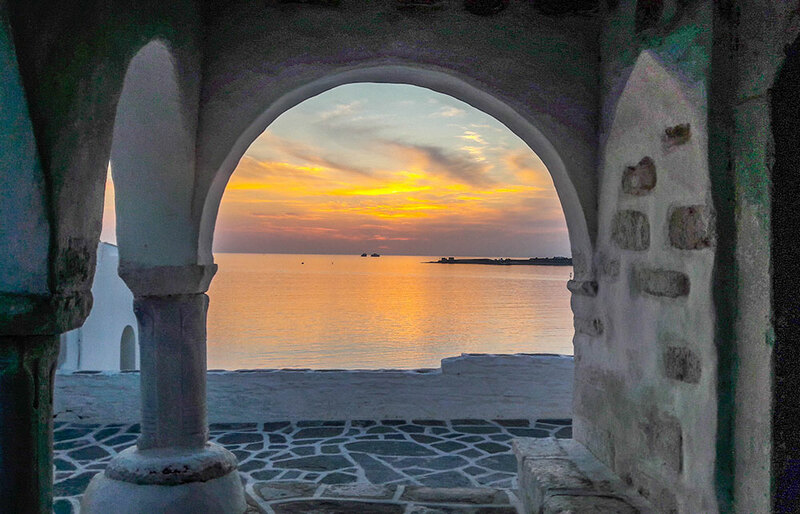 Located right in the heart of the Cyclades, Paros island is ideal for young people, couples and families, too. Ancient Marble Quarries: located in Marathi are the ancient marble quarries of Paros, where the famous flawless Parian marble was excavated. The Parian marble was preferred by ancient Greek art sculptors due to its transparency and fine consistency, and was used in the creation of some of the great masterpieces of art including Aphrodite of Milos, Hermes of Praxiteles and the Temple of Apollo in Delphi. The quarries are now abandoned and it is worth taking a nice walk over history. Archaeological Museum of Paros: is located close to the Church of Ekatoportiani in Parikia. It hosts findings dating from the Neolithic period to early Christian times, as well as unique sculptures made of Parian marble. Church of Ekatontapiliani: is one of the best preserved and most important Byzantine monuments in Greece, located a few meters from the port of Parikia. It was constructed in the 4th century A.D. and is dedicated to the Virgin Mary. The name Ekatoportiani means the Church with the Hundred Doors. According to tradition, the church has 99 doors visible doors. The 100th door is closed and cannot be seen. It will appear and open when Constantinople (Istanbul) becomes Greek again. Monastery of Zoodochou Pigis, Logovardas: is located on the Parikia – Naoussa road and is the most significant monastery on Paros. 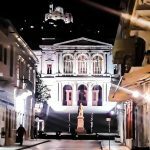 It was built in 1683 from monk Paleologos and it was the center of creative activity for important monks and houses a valuable library with rare books and handwritten manuscripts. The main church has interesting frescoes. This is a male monastery, women are not permitted to enter. Moraitis Wine Musuem: Paros is the second wine-producing island of the Cyclades after Santorini. In 2000 Moraitis winery, run by third generation wine makers, established a museum to highlight their wine-making tradition and the cultural influence of the island. The visitor can roam around the vineyards and take a tour around the production areas, see old objects of the wine making art, winery and laboratory equipment from older times. The museum is located in Naoussa by the beach of Agioi Anargyroi. A visit to the museum is highly recommended. 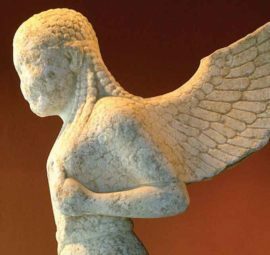 Paros Museum of Popular Aegean Civilization: is a private collection of traditional tools, building elements, furniture, everyday objects and utensils depicting the development of the Aegean culture through the ages. The museum is located in the premises of Lefkes Village Hotel in Lefkes. Sanctuaries of Delian Apollo, Asklepeion and the Pythian: are situated at the hill of Agia Anna. Skorpios Folklore Museum: features the collection of the artist Benetos Skiadas, which includes miniature models of sailing boats, fishing boats and ships. The museum also displays models of buildings and everyday things and is located in Aliki. The Ancient Cemetery: is situated on the port of Parikia and is one of the oldest cemeteries in Cyclades. It was used from 8th century BC to the 2nd century AD. The Environmental – Cultural Park of Paros: is a thematic park of 800 square kilometers with special geological and historical interest. The municipality of Paros has transformed the area into an environmental and cultural park where guests can enjoy various cultural, ecological and athletic activities including hiking, swimming, sunbathing, water sports, theater & concert performances and book presentations. In this beautiful peninsula you will find an open air amphitheater, beautiful bays, the post-Byzantine monastery of Agios Ioannis and much more. The park is clearly addressed to nature & culture lovers and definitely worth’s a visit. The Frankish Castle: is one of the most important monuments on the island. It is located on the hill of Agios Konstantinos in Parikia. The castle was built in the 1200s by the Venetians who then had occupied Paros. The Frankish Castle stands out for its splendid architecture and its complex stonework. The whole site breaths history and magnificence. The site’s location also guarantees an amazing view of its surroundings and one of the best sunset spots in the island. The Mycenaean Acropolis at Koukounaries: is listed among the most ancient acropolis sites in the Aegean. It is located on the rocky hill of Koukounaries. This important settlement was built on 1200 BC and it was protected by “Cyclopean” walls. Excavations brought to light evidence of vases, tools and numerous skeletons of the occupants, adults, children and animals. The settlement was destroyed by fire around 1150 BC. The Venetian Castle: situated in the north of Naoussa and is one of the most characteristics and interesting spots of Paros. It was constructed in the 15th century by the Venetians as a fortress for pirates and enemy attacks. Today only part of this fort survives as it is half-sunken beneath the sea surface and is connected to the mainland with a short path. Valley of the Butterflies: is located 7 km west from Parikia, the valley of the Butterflies or “Petaloudes” is an exceptional natural site of Paros. Every year during the summer months, in this idyllic valley of dense vegetation and abundant running water, thousands of butterflies flutter all around, creating a breathtaking image. This fairytale land is a must for nature lovers. Visit to Antiparos island: Antiparos a small picturesque island just opposite from Paros, worth a visit for its beautiful sandy beaches with crystal blue waters, its main village and the famous Cave of Agios Ioannis, one of the most beautiful and mysterious caves in the world, as well as its relaxed and authentic atmosphere. 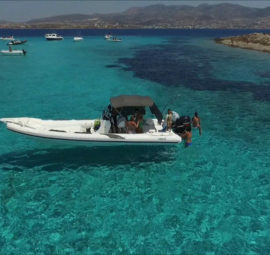 Antiparos can be accessed by boat from Punta (10 min away). Parikia is the capital of Paros as well as the main port, an ideal venue for day and night. During the day people stroll through the white alleys, gaze at the impressive 13th century Venetian castle and numerous Byzantine churches, shop or taste delicacies at its numerous cafes and tavernas. At the evening, locals and tourists alike walk on the mile long busy waterfront where all the tavernas, clubs and bars are right next to each other. Everything is open and welcoming, like the people of Paros. The town is built amphitheatrically around the port. 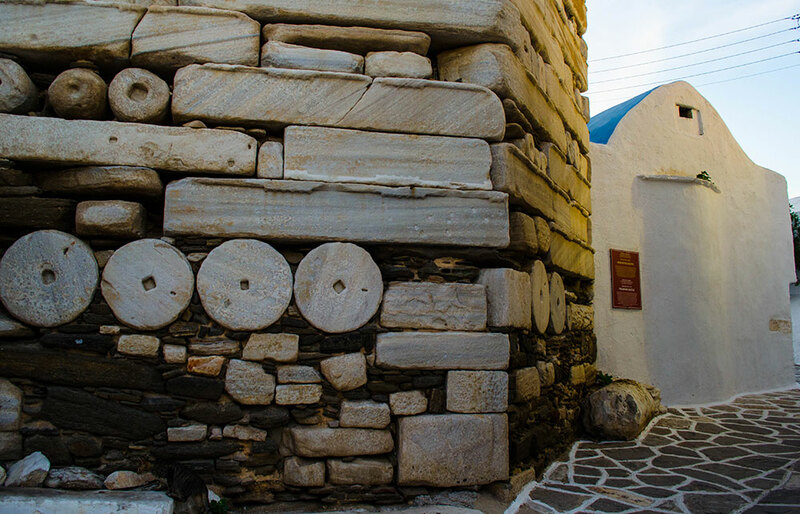 Parikia’s typical Cycladic architecture always astonishes the visitors. Cute whitewashed houses with colored wooden doors, windows and balconies welcome travelers in the island of Paros along with the famous whitewashed windmill right in the entrance of the port. 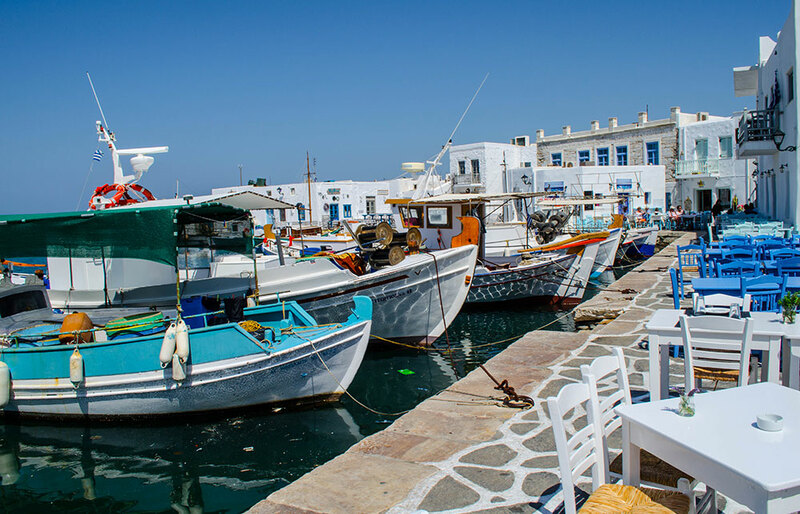 Aliki is a small seaside village on the southern side of Paros. Aliki is one of the most tranquil places to stay in Paros and an ideal destination for family holidays. The settlement has a lot of nice amenities and it is known for its delicious traditional products, shops, restaurants and variety of accommodation along the coastline. Drios is one of the greenest villages in Paros located along the southeast coast. 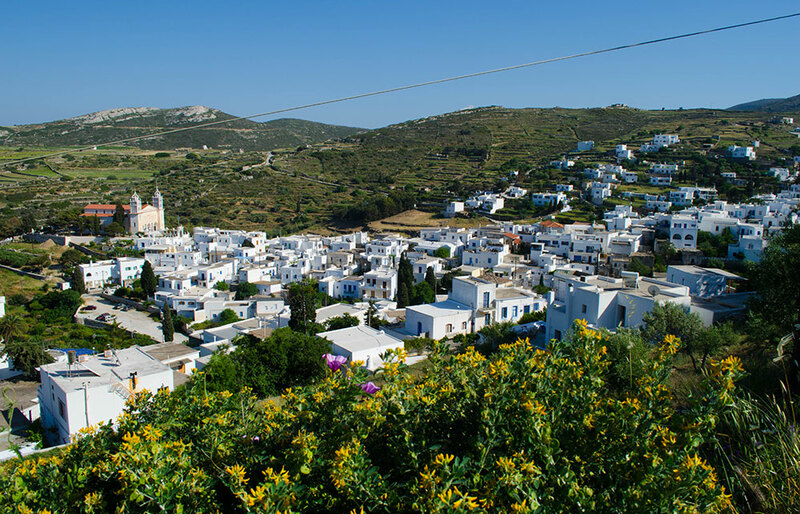 This small charming village is nestled among low vegetation and crops, with impressive trees, offering quite unusual scenery for the Cyclades. Worth visiting sites on the area include the Cave of Demons with impressive stalagmites and stalactites, the lakes of Drios and its beautiful nearby beaches with emerald waters. 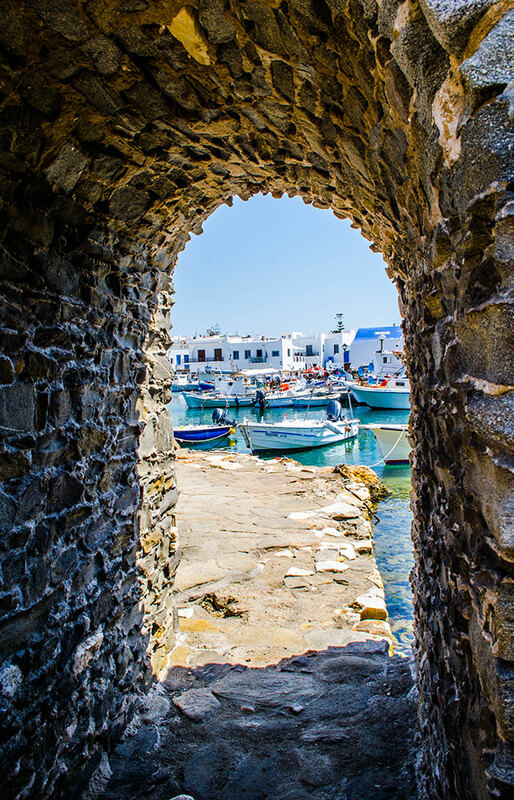 Drios was the ancient port of Paros. In the area you will also find the ancient ship sheds, where ships were housed in the ancient times. Kostos is a traditional village, on the eastern part of the island, below the marble quarries. This small, quaint village is totally untouched from tourism and is calling visitors to take a short walk in its narrow streets filled with white houses and churches. 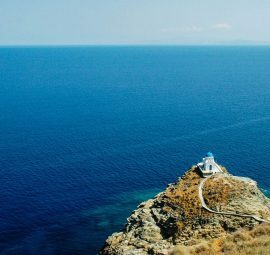 Lefkes is a beautiful mountainous village in the centre of the island offering panoramic views to the island of Naxos. 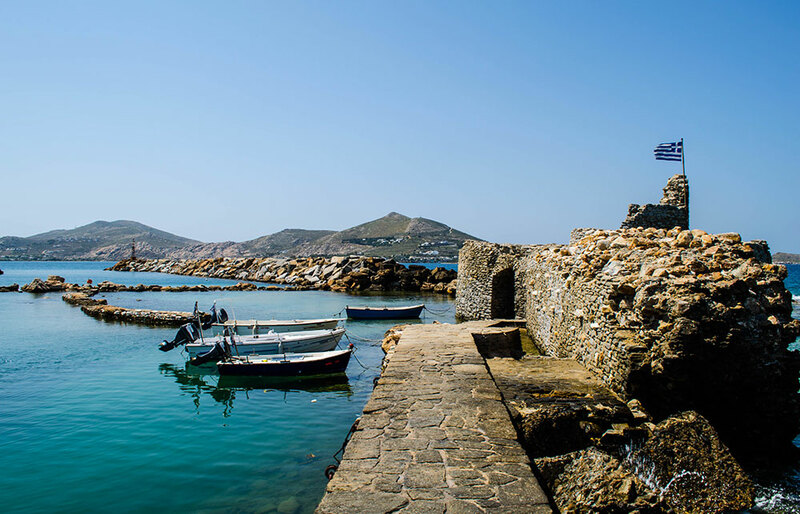 Once the capital of Paros, Lefkes along with Naousa are considered to be among the most beautiful villages in the Cyclades. Lefkes has an authentic, traditional character and is surrounded by lush green area, while one can find some of the best koutoukia (small meze shops) and tavernas. The village of Marmara (marbles) took its name from the marble pieces found here. 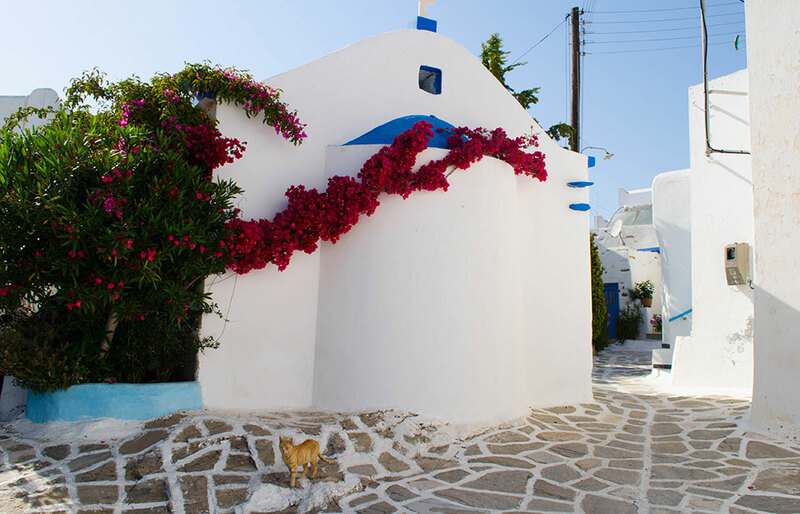 This small village on the east side of the island is a typical Cycladic settlement with dominant white and blue colors. Make a quick stop on your tour of the island to see the old mansions and the historical church of Taxiarchis. Marpissa is a fairly large, authentic village on the east side of Paros, with traditional style and stunning views of the endless Aegean blue. In the main square of Marpissa you will find the four windmills, one of the most characteristic images of Paros. Attractions in Marpissa include the remnants of an old Venetian castle, the Monastery of Agios Antonios, the large Byzantine church of Metamorphosis, the Sculpture Museum of Peratinos and the Folklore museum. Piso Livadi is the port of Marpissa. It is a fairly large village on the eastern side of the island, close to the popular beaches of Golden beach, Pounta and Logaras. The port is also known for its delicious fish taverns along the coastline. Paros is blessed with exotic emerald waters and soft golden sand making the island one of the most popular destinations in the Aegean. 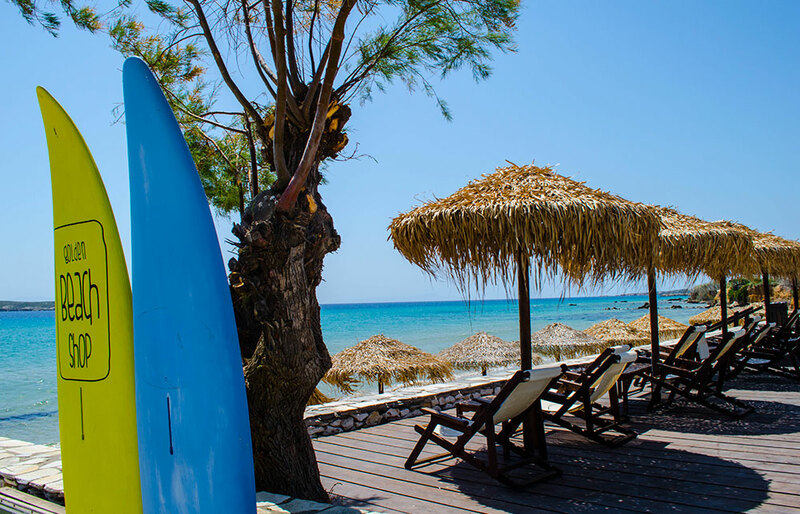 Whether you are looking for a busy organized beach, a small tranquil bay, a wild kite ride or an afternoon beach party, Paros has the beach for you! Below you will find some of the best beaches in Paros catered for all tastes. 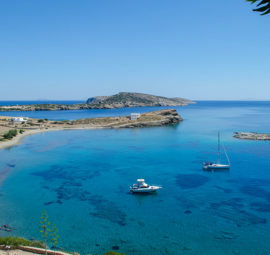 Agia Irini: is a small sandy beach with palm trees all over it, creating a tropical scenery. The beach is located just a few kilometers south of Parikia and is ideal for relaxation. It is also ideal for children due to its crystal shallow waters. Nearby there is a traditional tavern and a campsite. 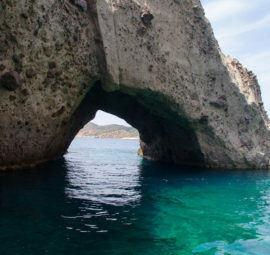 Agia Irini is accessible by car. Ampelas: is a small sandy beach located on the fishing village of Ampelas, next to Naoussa. The beach is not organized but there is a small port where boats moor and is preferred by swimmers who wish to relax. The area is covered in vineyards and is famous for its delicious fish taverns. Faraggas: is one of the most beautiful and popular beaches on Paros located on the southern side of the island. Its beautiful crystal waters are surrounded by thin yellow sand, hills and rocks that form a captivating landscape. The beach is well organized and definitely worth a visit. Golden Beach: is a long sandy beach situated south of Parikia and is considered one of the best beaches in Paros. The beach is one of the windiest places on the island and is considered a surfer’s paradise. In fact every August the World Windsurfing Cup is held here. Golden Beach is fully organized with plenty of amenities and is easily accessible by car. Kalogiras: is a small sandy beach particularly famous due to the argil contained on the stones around it. Many swimmers cover their skin and hair with argil, because it is said to have curative abilities and leave the skin and hair healthier and softer. The beach is not organized and is accessible by car. 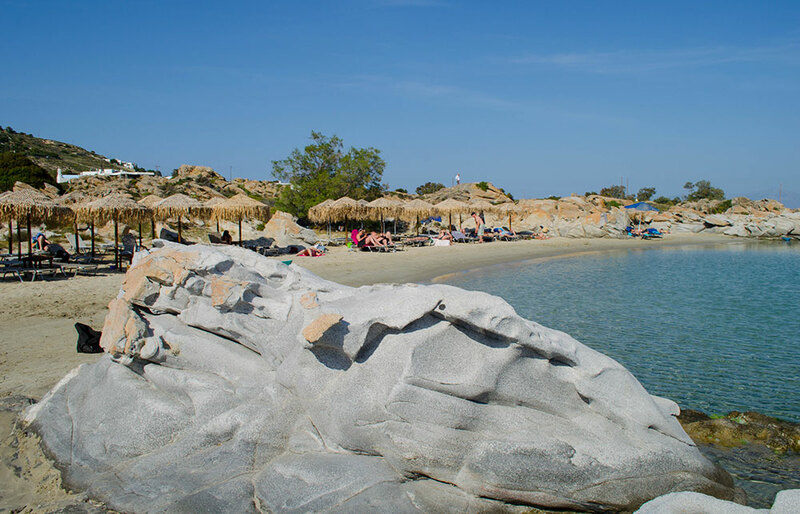 Kolimpithres: is one of the most famous beaches of Paros located on the north side of the island. 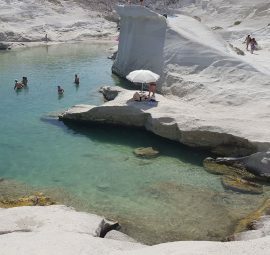 Kolimpithres is a particularly impressive beach due to the big rocks of granite surrounding it and creating small “swimming pools” (kolimpithres). On a quiet day one may have its own tiny private bay here. 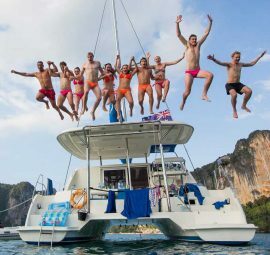 Most of the coves are well organized, with lot of amenities, including sun beds, umbrella, tubes, water sports, ski and kayaking. There are also tavernas nearby. The beach is easily accessible by car or boat from Naoussa port and it is definitely worth a visit. Laggeri: is a secluded beach located on the northern side of the island. This beautiful is preferred by nudists and people looking for tranquility and relaxation. Logaras: is a sandy beach with blue waters located on the south side of the island. The beach is well organized, ideal for families and surrounded by many restaurants and hotels. It is easily accessible by foot from Piso Livadi. Lolantonis: is a small sandy bay with a few houses and a taverna nearby. It is accessible by car. Messada: is a quiet beach with white sand and turquoise waters located on the south eastern side of the island. The beach is one of the most beautiful beaches on the island and a favorite destination for nudists. Messada is also a nice windsurfing spot and a popular alternative to the usually busy Golden Beach. Molos: is a sandy beach with deep blue waters located on the north side of the island near the village of Marmara. The beach offers a magnificent view of Naxos island and is one of the quietest beaches of the island, ideal for relaxation. Molos is accessible by car. Monastiri: is a long sandy beach surrounded by rocky hills, located on the north side of the island in front of Agios Ioannis Monastery. The beach is very popular for its beautiful deep sand and crystal waters. During the summer it is also a famous spot for the evening beach parties and various concerts that are organized here. The beach is accessible by car and boat from the port of Naoussa. 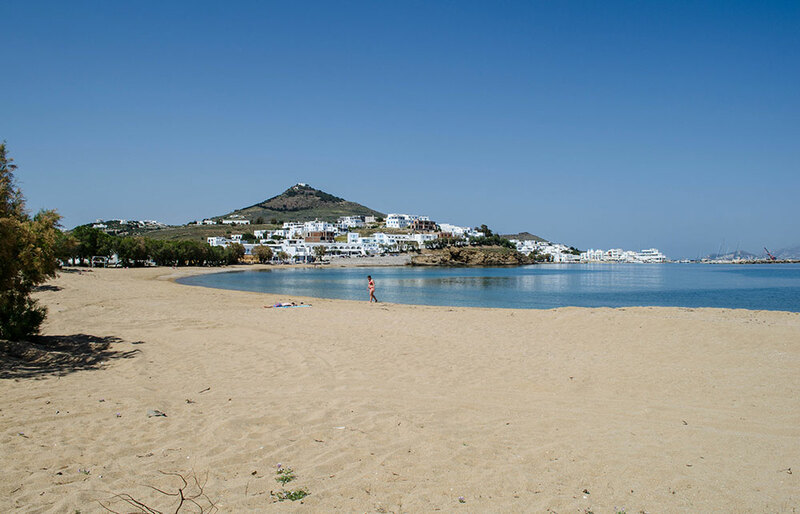 New Golden Beach: is a long sandy beach located 22 km away from the capital of Paros, near the village of Logaras. The beach enjoys strong winds and is considered a surfer’s paradise. True to its name the beach offers golden sand and turquoise waters. 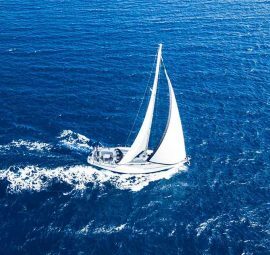 It is very well organized with all sorts of amenities including umbrellas, sundecks, bars, water sport centers, restaurants, hotels and apartments nearby. It is accessible by car. Parasporos: is a long sandy beach located on the west side of the island. Parasporos is right next to a campsite, which is why on its golden sand and emerald waters you will find a lot of young people and campers. Although the beach is fully organized with all sorts of amenities, there are a few untouched corners ideal for relaxing and tranquil swimming. Parasporos is easily accessible by car. Pounda: is one of the most famous beaches of Paros located on the east side of the island. 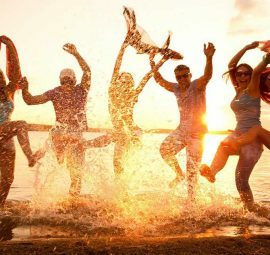 It is a small, sandy bay with beautiful blue waters, full of young people and very popular for its endless beach parties. 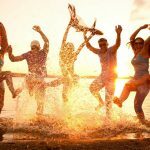 It is fully organized with all short of amenities including sun beds, umbrellas, water sports, bungee jumping, bars, restaurants, swimming pools and shops. The beach is easily accessible by car. Santa Maria: is consisted from numerous small sandy beaches and coves which offer beautiful view on the island of Naxos and crystal emerald waters. Santa Maria is ideal for snorkeling and diving. 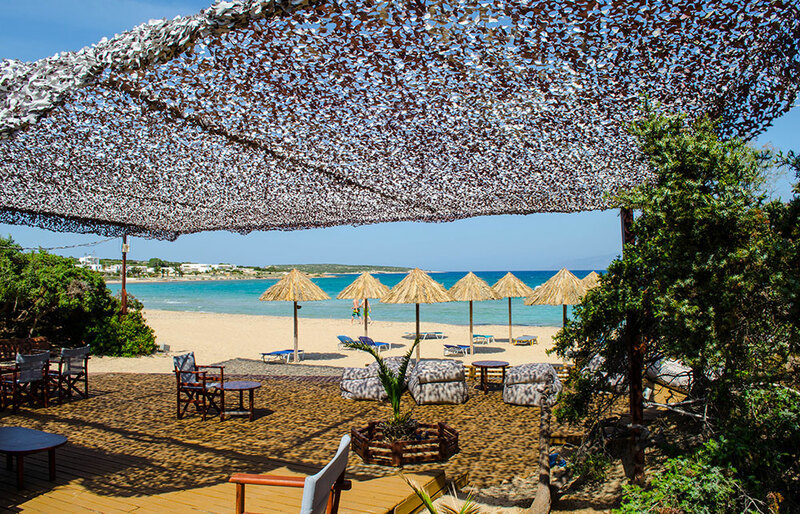 It is one of the most popular beaches of Paros fully organized with many amenities including sun beds, umbrellas, water sports facilities and beach bars. It can be easily reached by car or boat from Naoussa port. 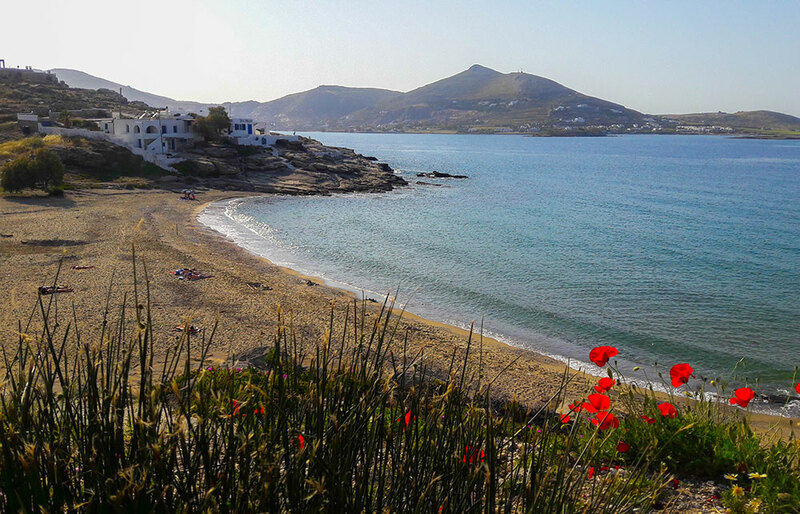 Tripiti: is a small, quiet beach at the southern part of Paros, ideal for those looking for relaxation and isolation. The beach is unorganized and is located between Drios and Aliki villages. According to Mythology, the Cretan Alkaios was the first king of Paros and built the first city of the island on the site of present-day Parikia, giving it the honorary name of Minoa (royal city). Another myth wants the island to be named after Pareia, the Naiad Nymph of the springs, wells or fountains in the main town of Paros. Paleolithic Period: The island in of Paros has been inhabited since the Paleolithic Period, according to finding in caves and other natural sites. 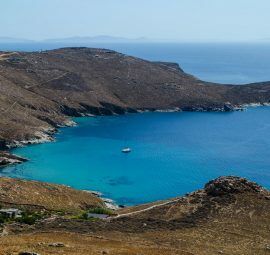 Neolithic Period(4300-3900 BC):Important findings in Saliago, the islet between Paros and Antiparos, confirm the existence of community life on the island, one of the oldest communities in the Aegean sea. Bronze Age(3200-1100 BC): The Mycenaean Acropolis, with one of the most important palaces in Cyclades, was built on the rocky hill of Koukounaries and the remains can be seen today. Other important ruins of settlements from this era have been found on the site of Kastro in Parikia, also in Aliki and Glyfa. 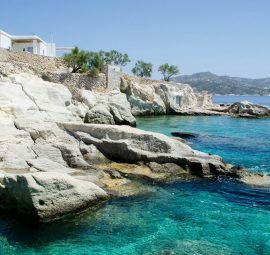 Classical Era (480-323 BC): Paros became famous in the Mediterranean for its flawless white marble found at the Marathi Quarries and the island flourished. The Parian marble was used for the creation of ancient masterpieces, such as such as the Aphrodite of Milos, the Hermes of Praxiteles in Olympia, the Temple of Apollo in Delos and the Temple of Poseidon in Sounio and many others. The Roman Era (167 BC- 330 AC): Paros, along with rest of the Cyclades, becomes part of the Roman Empire. The growth of the island stops and is used as a place of exile. Byzantine Era (330-120 AC): Christianity came to Paros in the fourth century and Panagia Ekantopotapyliani was the first church to be built on the island, by the wish of Saint Elena. Venetian Rule (1204 – 1537 AC): During the Venetian occupation, Paros suffers from repeated pirate raids. Naoussa became a Pirate base and the fortresses of Parikia, Naoussa and Kefalos were built. Turkish Rule(1537-1821 AC): The island was occupied by the Turks in 1560. Many churches and monasteries were built at this time. Greek Revolution (1821 AC): Paros was an active member during the Greek revolution of 1821. Recent Years: The island suffered greatly in World War II and a large segment of the population was forced to migrate in Athens and abroad. Around 1960 forced to migrate, first to Piraeus and then abroad. The first signs of development came around 1960, when tourism started to boom. Wine of the famous grapevines of Paros. 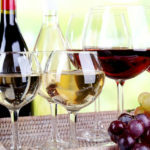 Paros is the second wine-producing island of the Cyclades after Santorini, with excellent varieties of red (Mandilaria) and white (Monenvasia, Savatiano). Fish & Wine Festival: On the first Sunday of July the Fish and Wine festival takes place in Naoussa. The Pirates Festival: On the 23rd of August the Pirates Festival marks the anniversary of the pirate raid in Naoussa led by Barbarossa in 1537. In the raid the women of Naoussa were kidnapped and local men fought to get them back. 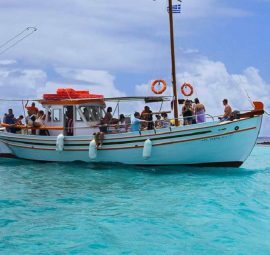 Trata Festival: On early September, the traditional festival of Trata (fishing boat) is celebrated with lot of seafood, wine and souma in Parikia. Paros-Antiparos Channel Crossing: The first Saturday in July a great swimming event takes place. Every year, kids and grown-ups with an appetite for swimming, swim across the channel connecting Pounta in Paros to the Port of Antiparos, covering a distance of 1,453 meters.